RAW HOLLYWOOD : LISTEN/VIDEO: JENNIFER LOPEZ & DRAKE SONG PREVIEW REVEALED...? LISTEN/VIDEO: JENNIFER LOPEZ & DRAKE SONG PREVIEW REVEALED...? 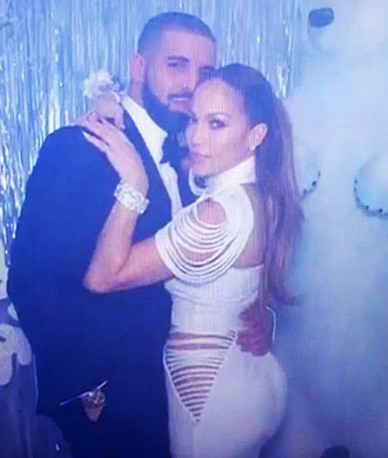 Over the past week Jennifer Lopez & Drake have been the trending topic of every conversation ever since photos surfaced on social media of them enjoying each other's company with some close body contact. Now, many of their fans are wondering if they have a collaboration in the works. Today video footage was discovered online of the power duo at a party & dancing to a unheard song that has Lopez's vocals on it.